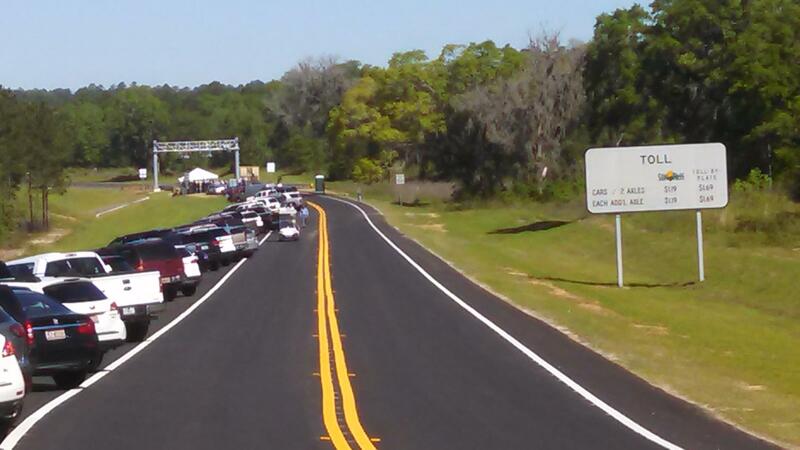 Florida’s first-ever privately owned toll road is now open to public traffic. The new Orchard Pond Parkway is a westward extension of Bannerman Road between Meridian and Old Bainbridge roads. The new Orchard Pond Parkway had its first traffic jam along the highway's southern shoulder during the road's grand opening. More than 100 people showed up for the occasion. One answer, Dailey said, is the new Orchard Pond Parkway. It’s owned by the Phipps family and is the brainchild of Jeff Phipps. He said protecting the wetland environment over which the highway extends was key in the road’s construction. The Parkway extends just over five miles and starting May first, each trip will cost SunPass holders$1.19. Motorists without SunPass will pay $1.69 plus a monthly fee. Total cost of the project was around $18 million, of which about $13.5 million came from Florida Department of Transportation funding.